A younger candidate from the two aspiring gup candidates in Radhi, Pema Tenzin, 33, was a gomchen for eight years. The candidate, who also worked as caretaker, came under the spotlight when he ousted the former gup during the Kadam Chiwog Zomdu. He says his experience as Gomchen can benefit him if elected. The other opponent, Kulung, 58, from Tongling Pam Chiwog was a Gomchen for more than a decade. Being one of the oldest, he has a myriad of experience even as gup for many years. He says experience of serving as Gomchen can prove to be an added advantage. 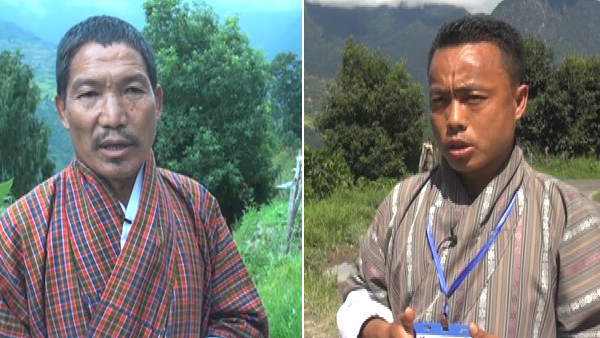 Both the candidates have prioritized construction of more farm roads in the gewog. There are more than 3,800 voters in the Radhi Gewog.